Packaging of Lacto Calamine is simple and durable. But I think the cap is flimsy and not travel-friendly, good chance of the lotion spilling out easily. Ingredients list is simple with Aqua, Kaolin, Sorbitol, Glycerin, Aloe Vera Gel, Zinc Oxide, Zinc Carbonate alongside a mention of 'preservatives, perfumes, astringent, permitted colors'. No clarity on what these ingredients actually are. It doesn't matter too much to me but surely it is a very frustrating thing for those who double-check ingredients nowadays. Claims are threadbare, threefold action of absorbing excess oil, unclogging pores and preventing excessive drying of skin. Availability of Lacto Calamine is quite common, offline in stores such as Big Bazaar and online on almost every e-commerce store from Flipkart to Nykaa. I bought it from Amazon for Rs. 198 for 120 ml. Quantity is amazing. Easily lasts me 2 months even when I liberally apply it all over my face and neck once a day everyday. Extremely value for money. Usage - Shake bottle, pour some lotion on fingertips, apply in dots all over face and neck, massage into skin for 20 seconds. Done! -As the only skincare ingredient for those who cannot use anything else, for example- those suffering from condition such as rosacea! The way it is formulated makes Lacto Calamine perhaps the most versatile beauty/skincare product available in the market. It is formulated with a clear idea that 'oily skin is a blessing because it is naturally moisturized' which is the truth. Problems arise because of excess oil. So simply put, Kaolin Clay absorbs that excess oil. Lacto Calamine Daily Face Care Oil Balance Lotion Aloe Vera is especially made for normal/combination skin (tending towards dry) so it has glycerin + aloe vera which provide hydration together so skin does not feel stretchy. Moreover, Zinc Oxide works as natural sunscreen as well as it is good for cleaning pores, providing extremely small amount of skin refinement/polishing. Honestly, there are no miracles promised. This is the most basic skin care. Literally the most basic skin care routine would be to clean your face and put lacto calamine all over. That is it. It keeps skin healthy from within. No frills, just a solid function. As for my personal experience, I have been using it for 5 years now, on and off. I keep trying some other moisturizers sometime simply because I get bored or I want something specific for brightening/acne fighting etc. 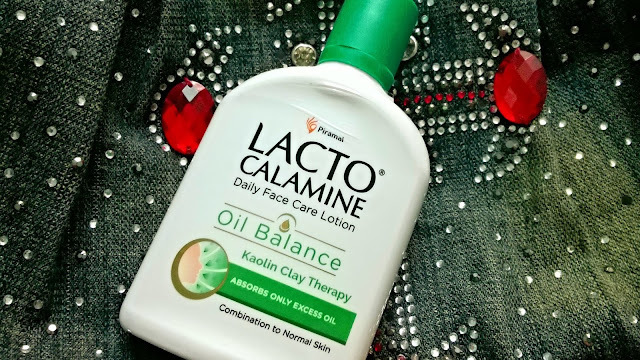 but then I keep coming back to Lacto Calamine Daily Face Care Oil Balance Lotion. Why? Because it is a star product. It really absorbs all excess oil but my skin still feels hydrated. My skin is always baby soft and supple when I use it. It instantly calms redness on my cheeks. If I ever get any pimples, I dab this on and it is instantly dried up. It soothes. It protects. Even if I go out in sun for 15 minutes, I do not get tanned because Zinc Oxide is good sunscreen for such small duration. And yes, it also, with constant use, lightens old acne marks and brightens up skin. All-In-One product. The only product I can suggest happily for extra-sensitive skin types. 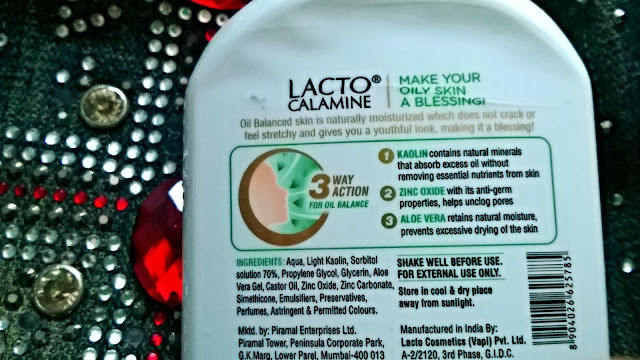 For those who cannot use any product, Lacto Calamine might be the only option. Not suitable for very dry skin, it might feel a bit parched for moisture, for them I suggest use it after mixing with another moisturizer or couple drops of face oil. Recommended -YES! Lacto Calamine is one of those products that need no advertisement or reviews to become a bestseller. 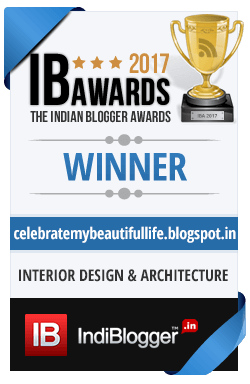 It is multipurpose and must-have. Keep it at your bedside always. Rating is 5/5.